Transfer of savings bond ownership at death depends on the registration. When the owner of a U.S. savings bond dies, the Treasury Department’s rules governing transfer of ownership come into play. The transfer process can vary depending on how the bond was registered when it was purchased. In many cases, the transfer process is automatic, so the person inheriting the bond doesn’t have to do anything. Once the bond is transferred, the heir is liable for income taxes on the interest when he redeems the inherited bond. 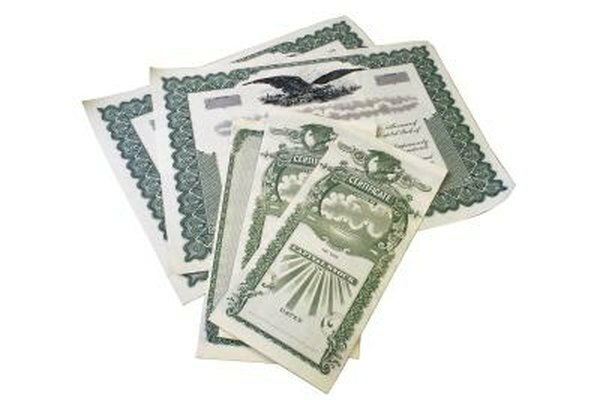 If you are the sole owner of a U.S. savings bond, the bond becomes part of your estate when you die. The fiduciary administering your estate requests redemption of the bond, with proceeds paid to whomever is entitled to the money under terms of your will. If the will doesn’t specify an heir for the bond, the proceeds are paid to the fiduciary and will be divided among your heirs according to state law. If you and your intended heir register a savings bond as co-owners, you both have equal redemption and transaction rights. When you die, your heir automatically becomes the sole owner of the bond with sole redemption and transaction rights. Only living individuals can be a savings bond co-owner, not organizations. If you register your bond with yourself as the primary owner and your intended heir as the secondary owner, you retain exclusive redemption and transaction rights while you are alive. Your secondary owner can do nothing with the bond. But when you die, the secondary owner automatically becomes the sole owner of the bond, with full redemption and transaction rights. You can’t designate an organization as secondary owner of an electronic bond. It must be a living person. You can register a savings bond in your own name as owner and designate your intended heir as the payable-on-death beneficiary. As owner, only you have redemption and transaction rights while you are living. Your named beneficiary automatically becomes the owner of the bond, with full redemption and transaction rights, upon your death. If all named owners and beneficiaries die, the bond becomes part of the estate of the person who died last and goes to that person’s heirs. How do I Transfer I Bonds to a Living Trust? Are Inherited Savings Bonds Taxable? Do You Pay Inheritance Tax on a POD Account? Can US Savings Bonds be Negotiated by a Minor?